* These 2 Silk Dome Tweeters fits all car audio systems and anywhere in cars. 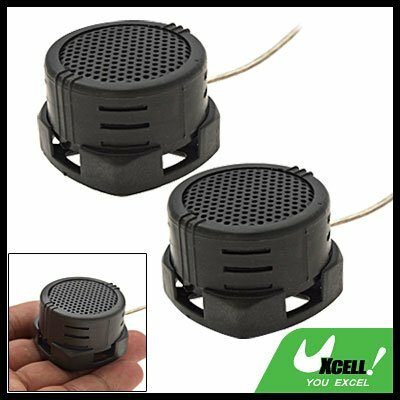 * Replacement Car Speakers features built-in crossover and less energy consumption with more sound. * With only 2.8V, you can feel 97dB of pure sound. * No magnetic field. Tapes and credit cards are safe. * Instant and easy installation with instructions on the package back and necessary fixing screw, tapes.